Sydney G. sings sweetly on Hallelujah. 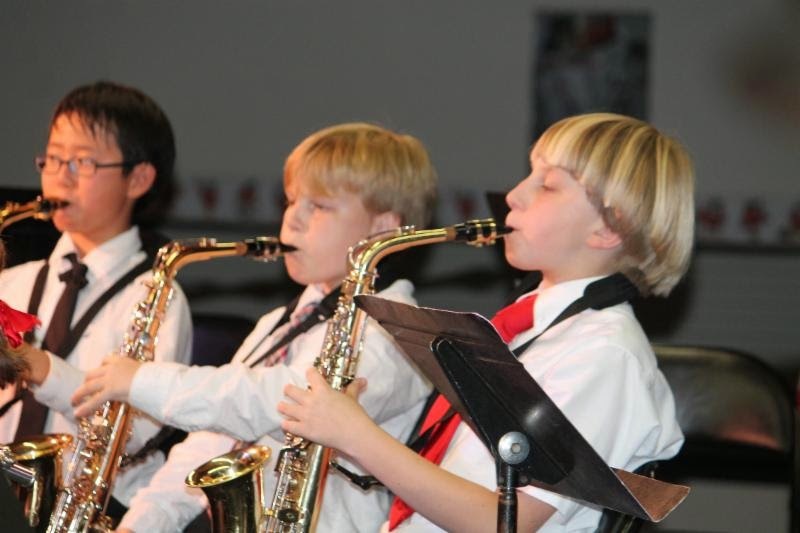 WIlliam S., Aidan D., and Michael B. play the saxophone! 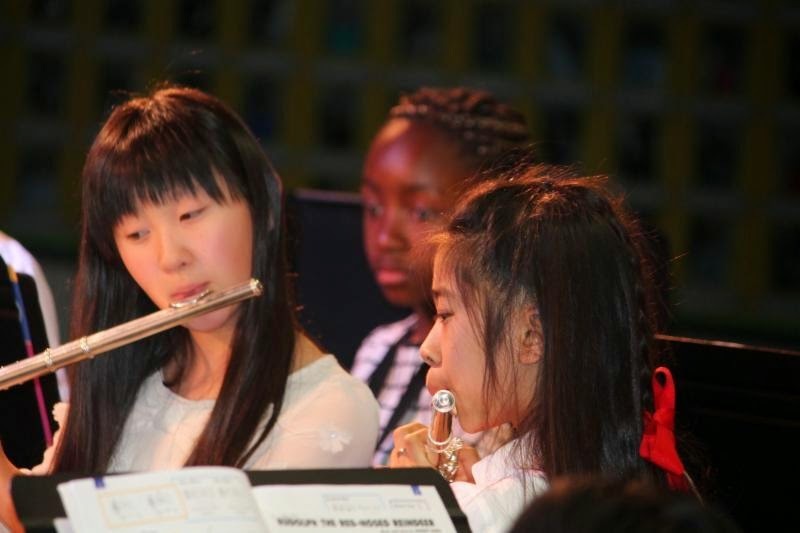 This last Wednesday, everyone attending the Winter Instrumental Concert enjoyed glorious music. First to play were the 6th grade string players. These students, along with the brass, percussion, and woodwinds students, only began playing their instruments in September. 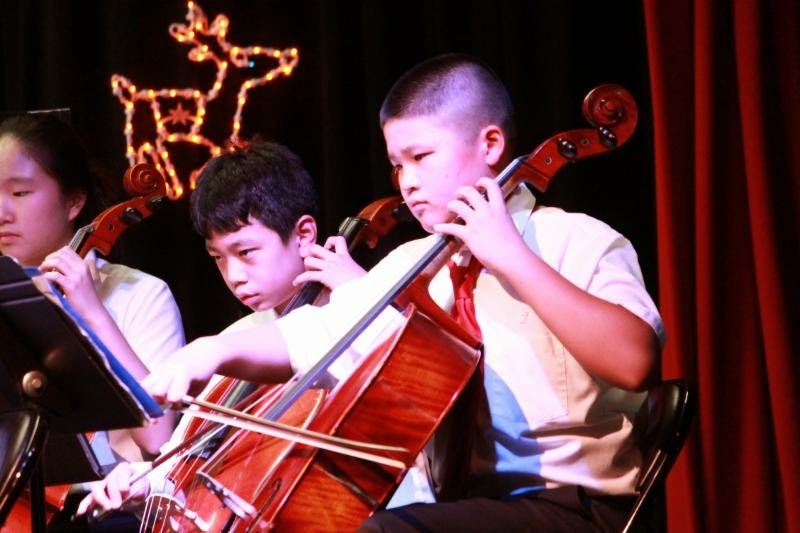 The string class played five songs, including one that featured the chamber string group. The string class was followed by the 6th grade brass, percussion, and woodwinds class. Each section was featured on one of their songs with the finale, "Holiday Sampler," incorporating all the sections. Next to take the stage was the "Fairmont Beat," our newest musical addition, which is a jazz/pop band. 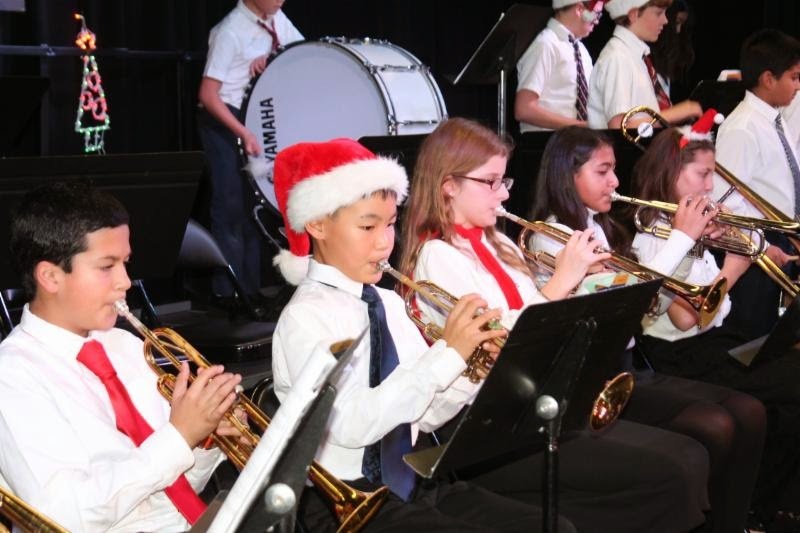 Fairmont Beat is comprised of nine students in 5th through 8th grade who meet at 7 A.M. each morning to practice. They performed a wonderful array of songs, featuring vocalists on all but one song. Crowd favorites were "Little Talks" featuring Trent B. and Alice F. on vocals and "Summertime" featuring Heather Anne G., Chandler T., and Trent B. on improvised instrumental solos. 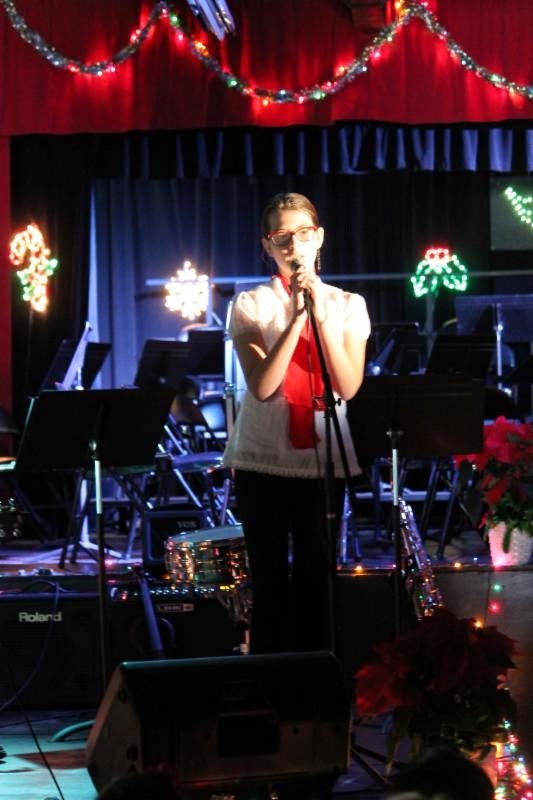 After the jazz band, it was time for six solo acts to show of their musical talents. Jian P., Dahlia C., Jayne S., and Lianne C. dazzled on the piano. Aaron K. was featured on the violin, and Dale T. and Joel K. performed at flute and violin duet. The final act was the Fairmont Orchestra, which showcased 44 students and their musical talents. They began their set with "Festival of Carols" then quickly transitioned to a group of three traditional carols, "Joy to the World," "Silent Night," and "O Come All Ye Faithful." The next song was "Hannukkah Joys" which was then followed by a medley of songs from the movie "Polar Express." Next, Maddie C. sang a wonderful version of the Beatles' classic, "Hey Jude." The last song of the set was "Trepak" from "Nutcracker Suite." After a brief bow, the orchestra treated the audience to an encore song, "The William Tell Overture." Overall it was a wonderful night of music led by Mr. Drake Peterson, Miss Regan Lambert, and Mrs. Marilyn Taylor. The night demonstrated the amazing talents of our students!